We are living in the best of times and here’s why. You look around and people are glued to their phones. Most of these people don’t know what they really want in life due to our education system. Working a job, getting married, and then living out your days saving for when you get old is no way to live. You already know this, but that way of life is dead and no longer a way to truly build your life. Now you must build your own brand and make your own money. You can’t depend on big companies to give you the life that you want. Instead you must act alone or band together with like-minded people. Gone are the days where you can work for a corporation and walk away with a good pension and plenty of money stashed away. You must depend on yourself now and have skills worth paying for. Luckily you can build those skills without wasting thousands of dollars on a college degree that you won’t ever use. 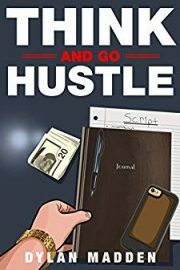 Using blogs like Calm and Collected, Business and Bullets, and the blog that started it all; Bold and Determined you can learn everything that you need to know. You are in the best possible position to succeed. Whatever you can imagine and act on is now right in front of your very eyes. With a quick Google search you gain access to all of humanities knowledge. Not only do you have access to whatever you need to know, but there is no real competition. You are going against other millennials that don’t have what it takes to build something great. Your eyes have the fire, desire, and clarity of a young hustler. When you look into your neighbors eyes all you see is dead and confused eyes. They talk of wanting a mansion in the hills but then they wake up and go to their 9-5 job. They would rather worship the greats and accept minimum wage. You and I are living in the best of times. All that is required is for you to take action and believe in yourself. My life changed when I came to a complete decision on what I wanted. I went from feeling stuck to interning with Victor Pride. Now I am back in Charleston spending each day working on my vision. The same will happen for you when you make a firm decision on what you want. You will go from where you are now to living the life that you want. Most will read this article and continue living the same life. You have the chance right now to make this year the year that you change it all. Let them continue dreaming while you take action. You have everything that you need. That is why I gave you the Craigslist article. You will see how easy living life on your own terms really is. Your next step is simple and clear. Click the article below and then take action on what you learn. Read: How to Make Money on Craigslist. 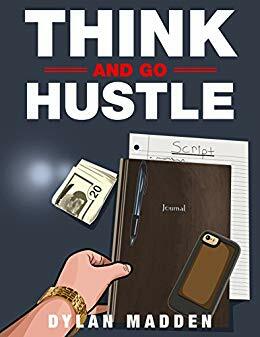 Click here to gain early access to my upcoming book Think and Go Hustle. I became interested in business when I was around 17-18 years old. Like many other B&D fans, I stumbled upon Vic’s “18 Things Every 18 Year Old Should Know.” I became an avid reader of his motivational posts for years. Unfortunately, I “returned to the normal world” and didn’t start a blog during this time. Now I’m 21, and have spent the past couple of months building up my blog. I’m new, but I’m hungry to learn more about the blogging+business world. I admit there have been times where I’ve asked myself if all this investment into my blog is worth it, but nowadays I just laugh it off because I know those feelings are part of the process. Jordan you are on the right track. I encourage my friends to develop an online voice as soon as possible. 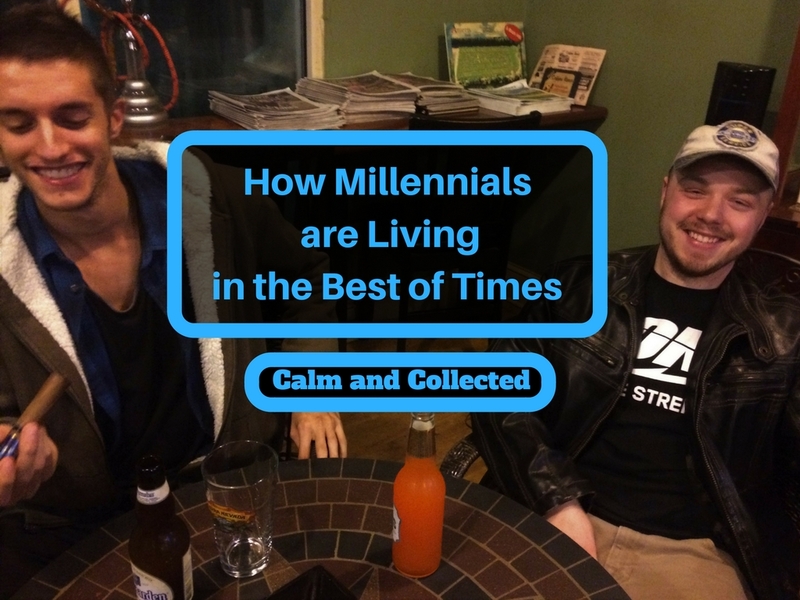 You’re correct that millennials live in an incredible time to be alive. The “internet rush” era means that anyone can access content from anytime and anywhere; it’s imperative for people to develop their online presence. This is how people establish themselves as an authority. The people who don’t realize how important it is to start up a blog or YouTube channel – for example – are the same people who only conform to the blueprint of the past. This is a new era. I’m curious Dylan, you mentioned “most will read this article and continue living the same life…” did this ever happen to you when you read a similar blog post? How long were you interested in starting a blog before you bit the bullet and went all in for the kill? I’ve seen it happen to friends of mine quite a bit. They will see what is possible and then go back to the “normal” world. I have been interested in business since I was 15 but didn’t go all in with my blog until 21. I am on the same path as you my friend, Victor has created a movement. I can’t wait for the day I can make enough money online to work abroad. Nothing can stop me from living that dream, like you, nothing could make me spend my life at a 9-5. I love how you mention the fact that our competition is non existent. As I look around at my peers, everyone is stuck paying a college tuition or sitting on their asses playing video games and living for the weekend. Unfortunately I have grown to pity my own friends and the paths they are choosing. Keep spreading the fire and the message Dylan, save as many people from corporate despair as you can. Don’t show pity for them because you are on your own path. Instead inspire them with your actions. Stay patient and pay the price and then maybe we will meet on some tropical island in the future.